New Products: Window Perfs, Yard Sign Sizes, Mesh Vinyl for Banners & More! New Ultra Thick, Triple-Layered Paper: 38 pt. Trifecta Black! Happy New Year…Here’s to 2016! From the busy offices to the bustling warehouses of GotPrint, we all would like to wish you a joyful and warm Thanksgiving. We’re grateful for your support and business, and we’d like to thank you for reading and staying connected, too! Transfer Your Account to Our New Website for 15% Off! 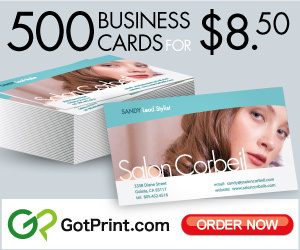 We Launched Our New Website, GotPrint.com! Halloween Costume Contest Winners Announced! GotPrint is Expanding its Facility in Northern Kentucky! GotPrint Celebrates its 2nd Year Anniversary in India! GotPrint recently celebrated its 2nd anniversary in India. We’d like to extend a warm congratulations to our team in India!